My year of getting published: Interview with a Travel Writer...James Bainbridge. Interview with a Travel Writer...James Bainbridge. The 'interview with a travel writer' series is back this week with an interview with Lonely Planet author James Bainbridge. 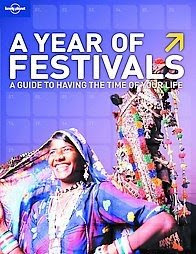 James has written a number of Lonely Planet books, including co-authoring the newly released 'A Year of Festival'. Yes, definitely. I have book-selling parents so it was always in my blood. After penning a few great unpublished novellas (I never got as far as a novel), I converted my degree in English Literature and History of Art into something that'd pay the rent - with the help of a three-month postgraduate journalism course. It was a vocational 'crash' course that gave me enough skills to blag my first job in journalism, and I highly recommend it as a good way to get started as a professional writer. The guys teaching the course had lots of industry contacts and, within a month of completing it, I landed my first writing job: staff writer on Media Week, the magazine for the UK's marketing and media sectors. It wasn't my dream subject matter, but I stayed for 2.5 years to get some experience, working my way up to deputy features editor. The only way to save my soul after 2.5 years of writing about advertising deals and targeted, customer-centric solutions etc etc was to go somewhere far far away from London. I travelled overland to Timbuktu and back, drawn by West African music. While I was in Senegal, I stayed with some 'griots' (musicians who play West African instruments such as the kora as their birthright, and are descended from the court bards in the Mandinke empire). When I got home to England, I sold a story about the experience to the travel section of Guardian Unlimited, the Guardian newspaper's website. Although I didn't apply to write for Lonely Planet for a couple of years after that, being able to send them that article demonstrated that I had solid West African experience. LP first hired me to work on their West Africa guide and, having proved myself on that book, I've contributed to half a dozen other books - from India to Ireland. You need to find a balance between practicing and hustling. You need to keep scribbling away when you're travelling (and even when you're not), but at the same time, you need to make sure you you're pitching and getting your name out there.. 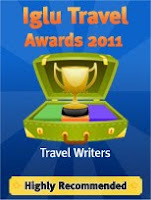 Check out travel media and figure out what they're looking for. Do they have any specific sections you could pitch something into? E.g. an article about that amazing Tagine you scoffed in Tangier for their food page. (Hey, we're back to targeted, customer-centric solutions!) What special skills do you have? Everyone's backpacked across Europe or southeast Asia, but do you know a certain language or have a deep knowledge of a country's history or architecture or food? Do you have any contacts who could show you round and help you find a fresh angle on a destination? Doing some time on a magazine helps, as it'll improve your understanding of what commissioning editors are looking for, and how they work... even if the mag covers something irrelevant. As publishers like Lonely Planet start to describe themselves as 'travel content providers' rather than guidebook publishers, the future is all about cross-platform travel writing. Some naysayers have predicted that digital media will undo the likes of Lonely Planet, as consumers can get recommendations for free, via free websites and blogs. But have you used one of those free online sources of information? Not only is the writing often incoherent, but it's just not a trusted source. The information hasn't been collected by a professional journalist on the payroll - it's been collected by an enthsiast on holiday. Simply not the same. Digital media, then, is a great opportunity, giving us more channels to write for; in addition to producing the same, great guidebooks we've delivered have since LP's founder Tony Wheeler first flogged self-published tomes on street corners. One exciting and challenging thing about digital media is the opportunities it offers to multi-media journalists. If you can go somewhere and write about it, photograph it, film it and make some recordings, you can sell podcasts, blogs, video clips, photo features and so on in addition to the traditional, written account. I really like stylised, opinionated writers who tend to divide opinion... Bruce Chatwin, Paul Theroux. These guys tried to get to the truth of a place by telling it how it was - something Lonely Planet strives to do in a more prosaic, practical way in its reviews. Writers like that also really remind me how much a person's character informs his experience and perception of a place. Chatwin might spend a page describing the expression on a border guard's face or the atmosphere in a train carriage, then briefly refer to the view in passing. You just don't find that kind of subjectivity in mainstream travel writing, because publications often have a house style that can dilute a writer's individual voice. Travelling by yourself, as I often do because I'm working rather than holidaying, you have be especially on your guard. You immediately look more vulnerable than someone in a group. I happily roam the streets by day, but I'm circumspect about what I do and where I go at night. Then there are language barriers. In West Africa, for example, I can speak French, the colonial language, but many people only speak indigenous languages. If you can learn a few simple phrases in the local language (hello, how are you, thank you etc), it really wins people over, and someone normally appears who can speak English or a European language. I've had Sikhs in Punjab, North India punching the air when I've said 'satsriakal' (hello in Punjabi). Although travelling is a lot of fun, it can be tiring and you have to pace yourself. If you don't, you'll get ill or, equally bad, you'll start to feel jaded and you won't get as much out of the travelling as you should. You need to give yourself a few days to acclimatise when you first arrive, to get used to everything from the weather to the food. Ahh... the million dollar/dirharm/rupee question. It's a tough call but I do keep going back to Morocco's Atlas Mountains. The landscape is simply stunning, ranging from snow-capped peaks to red Martian hills, and Berbers are some of the friendliest, most laid back people you'll meet. There's a great mixture of Saharan and Arabic influences and a real romance to travelling those mountain passes, perhaps in a truck or a grand taxi with some Berbers on their way to market. I want to be like James Bainbridge, his travel books have influenced me so much. I want to break myself into writing. I have my own travel book just like him. The only problem is I don't know how to balance practicing and hustling at the same time and in a proper way. I have written all my travel experiences in a journal, hoping to publish it soon. Thanks to the idea James, you’re such a good man. Your life deserves a place like this. hey I find the information to really be useful for a crazy traveler blogger like me...and really thanks for those valuable answers.